The Chicago area's homes and offices must be brought up to 21st century standards for energy efficiency, both to save money and to reduce climate altering green house gas emissions. Federal money available through the American Recovery and Reinvestment Act (ARRA) can jumpstart the creation of a market and infrastructure for accomplishing this, while utility and other financing can sustain the work over the long term. In launching this effort, the Chicago area does not need to reinvent the wheel; successful programs in other states offer principles and models for how to proceed. 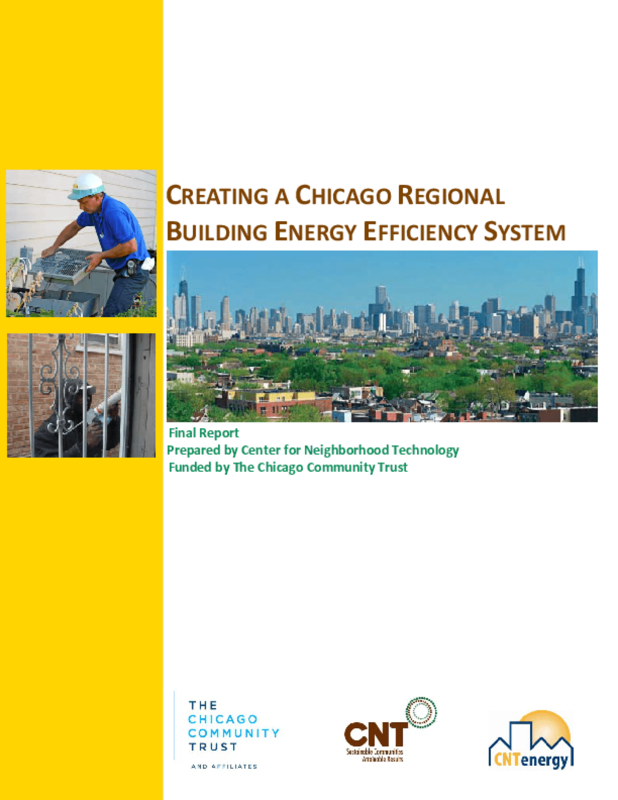 The Chicago area should immediately begin a two-track process for creating a Chicago Area Building Energy Efficiency System. The first track would identify funding, including ARRA funds to quickly ramp up existing programs to launch significant weatherization initiatives in appropriate locations around the seven-county region. The second track would begin designing the network or institution to carry on this work over the long term. While there are significant hurdles, creating such a system would meet the needs of homeowners, municipalities, utilities, suppliers, and citizens. By strategically combining available resources and existing knowledge, the Chicago area can undertake the massive work of making its physical structure more energy efficient, in the process bringing environmental and economic benefits to the eight million people who live in this region. Copyright 2009 Center for Neighborhood Technology.